Azerbaijan is a country with a fascinating history and unique cultural heritage. Encompassing a wide variety of cultures, the Land of Fire has many cities to visit and exciting foods to discover. Azerbaijan is also packed with dramatic natural sights, some a little more remarkable than others. The country's architectural styles are as diverse as the country itself. It offers a combination of magnificent architecture and breathtaking vistas. Azerbaijan's Ministry of Culture and Tourism constantly implements various projects aimed at promotion of national culture, art, historical heritage, natural beauties, rich cuisine in the world. For this purpose, the Ministry of Culture and Tourism often launches video materials devoted to Azerbaijan on foreign television channels. The next such video, prepared by the order of the Ministry of Culture and Tourism, was launched on April 9 on the French TV channel Mezzo, Trend Life reported. The video features country's architecture, rich and beautiful nature, delicious cuisine. 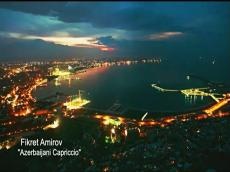 The music that is being performed at the video is famous work "Azerbaijan Capriccio" by Fikret Amirov. Mezzo is a French television channel devoted to classical music (including opera and ballet), jazz and world music. It was formed in 1992 and was called France Supervision until 1998. In 2010 it added a sister channel, Mezzo Live HD. Each month, Mezzo Live HD invites you to some of the greatest musical venues around the world, opera houses, concert halls, festivals, etc.